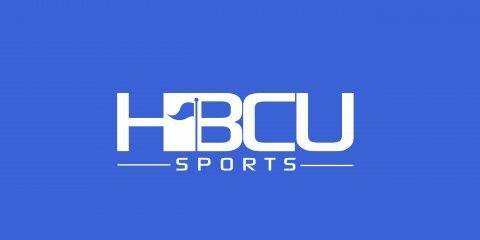 Norfolk State quarterback Juwan Carter and North Carolina A&T State quarterback Lamar Raynard were selected as the Mid-Eastern Athletic Conference (MEAC) Co-Offensive Players of the Week, the conference announced today. Bethune-Cookman’s Tydarius Peters was named Defensive Player of the Week while Morgan State’s Josh Miles received Offensive Lineman of the Week honors. DJ Gollat Jr. of Morgan State was named Rookie of the Week while Bethune-Cookman’s Uriel Hernandez and Florida A&M’s Chris Faddoul were tabbed as Co-Specialists of the Week. 6-0 | 175 | So. | Richmond, Va.
Carter completed 28-of-44 passes for 467 yards and three touchdowns in Norfolk State’s conference finale on Saturday. The sophomore finished with 482 yards of total offense as he topped all MEAC quarterbacks this past weekend in passing yardage and tied for touchdown passes (3). 6-4 | 195 | R-Sr. | High Point, N.C.
Raynard closed out his final Aggie/Eagle Classic in style as he completed 16-of-23 passes for 257 yards and two touchdowns. He had nine carries for 78 yards as he finished with 335 yards of total offense. 6-0 | 190 | Jr.
Peters was named the Florida Blue Florida Classic MVP after tallying 12 tackles, including a game-high eight solo stops. He also collected a pair of interceptions, returning one 90 yards in the closing seconds of the game for the game-sealing touchdown. Peters also had one tackle behind the line of scrimmage for three yards. 6-6 | 310 | Sr. The left tackle graded out at 94 percent on his assignments and helped pave the way for an MSU offense which gained 504 total yards, including 338 on the ground in the win at Norfolk State. He logged eight pancake blocks on the afternoon. 5-11 | 205 | So. Faddoul averaged 53.5 yards on four punts at the Florida Classic, highlighted by punts of 65 and 67 yards. He downed two inside the 20, with no touchbacks and one fair catch. 5-7 | 209 | Sr. | Homestead, Fla.
Hernandez finished the game a perfect 4-for-4 on PATs, while connecting on a key 44-yard field goal with 6:13 remaining in the third quarter that allowed Bethune-Cookman to take a 17-13 lead at the time against Florida A&M. 6-3 | 230 | R-Fr. Golatt finished the season with 324 yards of total offense as Morgan State won its season finale at Norfolk State. Golatt, a redshirt freshman, has thrown three touchdown passes in each of his last two games. He was 17-of-23 for 168 yards and also ran for 156 yards and a touchdown on 20 carries. Ezzard recorded his second 200-plus yard performance as he caught five passes for 211 yards, and two touchdowns in the first half versus Bryant. Ford finished the game with three tackles for loss totaling 15 yards including two sacks. He forced a fumble to lead the Bulldogs’ defense in the win over Savannah State. Hall had a game-high 12 tackles, matching his career high, while having a half a sack against Morgan State. Holmon graded out at 90 percent while helping the Bison accumulate 655 yards of offense versus Bryant. Howard led the Aggies with six tackles in a dominating defensive performance against North Carolina Central. Israel led Bethune-Cookman to its eighth consecutive win over the Rattlers in the Florida Blue Florida Classic game in Orlando. The redshirt sophomore connected on 12-of-23 passes for 216 yards, also rushing for 24 yards and scored a touchdown. Jefferson led the Rattlers defense with eight tackles (five solo) in the contest against Bethune-Cookman. Nichols had a total of five tackles with one tackle for loss, while also forcing a fumble and scoring the game-winning touchdown off a 55-yard fumble return to give the Bulldogs the win. Johnson had three tackles, two tackles for loss as he helped hold NCCU to -21 yards rushing. Neibauer recorded six tackles (three solo), while also having two interceptions and one quarterback hurry in the win over Virginia Lynchburg. Parson had 77 rushing yards on 19 carries, while also scoring a career-high three rushing touchdowns against Bryant. Pettiway averaged 38 yards per punt with a long of 51 yards in the win versus Savannah State. Robinson had a game-high nine tackles (eight solo) while also breaking up two passes against Bryant. Ruiz went six-for-six on extra points, including a 32-yard field goal that he netted. Smith completed 16-of-19 passes for 212 yards while throwing for three touchdowns versus Virginia Lynchburg. Smith led the Rattlers in receiving with a total of eight catches for 127 yards, while also averaging 25.5 yards on two kickoff returns. Stanley finished the day 27-of-45 passing for 305 yards with two touchdowns as the Rattlers piled up 465 total yards against Bethune-Cookman.